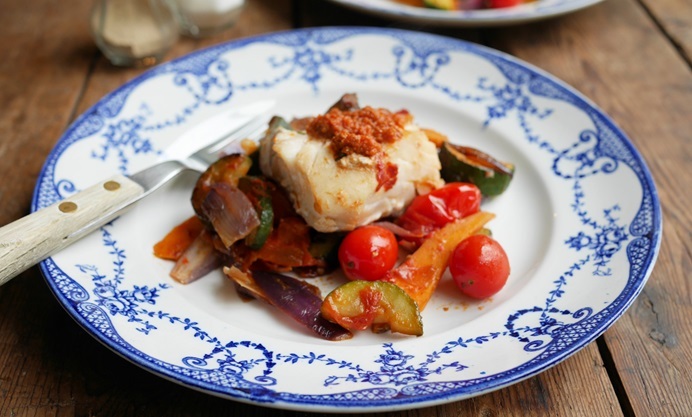 For a healthy and tasty dinner try Karen's colourful Mediterranean cod recipe, which contains just 335 calories per serving and provides two of your five a day. When I am trying to eat more healthily, with less calories as well as less salt and fat in my diet, I invariably turn to fish and seafood as my main choice of protein. In particular, a firm white meaty fish such as haddock, pollock, hake or cod. Fish is high in Omega 3 oils, which are essential for a heathy heart, and is the original “fast food” with most recipes being prepared, cooked and on the table in under half an hour. 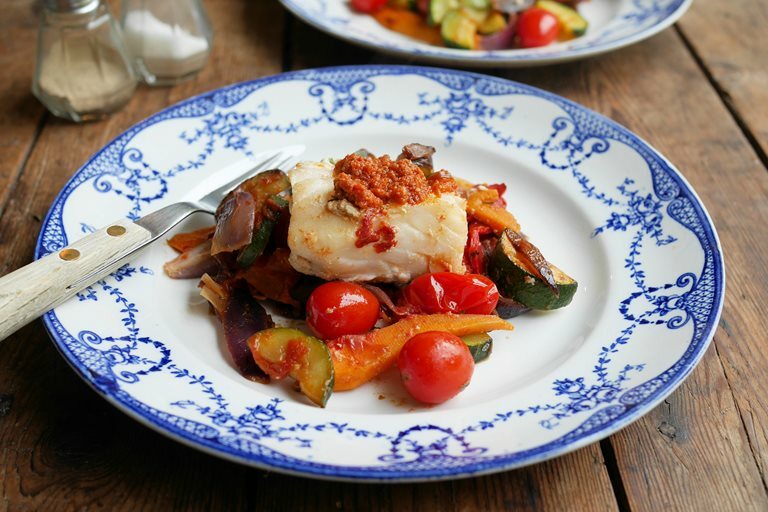 This recipe Mediterranean Cod with Herbs and Vegetables is a firm family favourite, and comes in at a very healthy and low 335 calories per serving, as well as being low in salt and high in healthy oils. It’s a simple recipe that is a meal in one, with all the vegetables being cooked alongside the fish, also providing two of your five-a-day allowance too.. The recipe looks attractive and if you want to boost your five-a-day even more, then why not serve the fish with a big bowl of salad leaves on the side for extra crunch and colour. 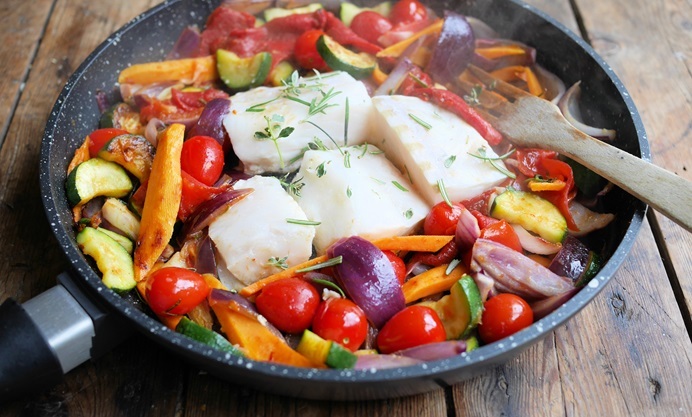 I have suggested pan-frying the fish and vegetables in the preparation of this recipe, but, I have also baked this dish before when time wasn't an issue - it takes an extra 15 minutes to bake, but baking can be a great alternative way of cooking the recipe if you don’t have time to stand over a pan on the hob top.